A new season means tons of new in beauty. Even as a beauty blogger, it can be hard to keep up with all the new releases. I’ve recently hauled a ton of new beauty items; over 30 minutes worth in my latest YouTube video. Watch the video below to see what’s new from elf, Matrix, Origins, Perricone MD, Vine Vera, and more. It’s a good mix of makeup, skin, and hair care. 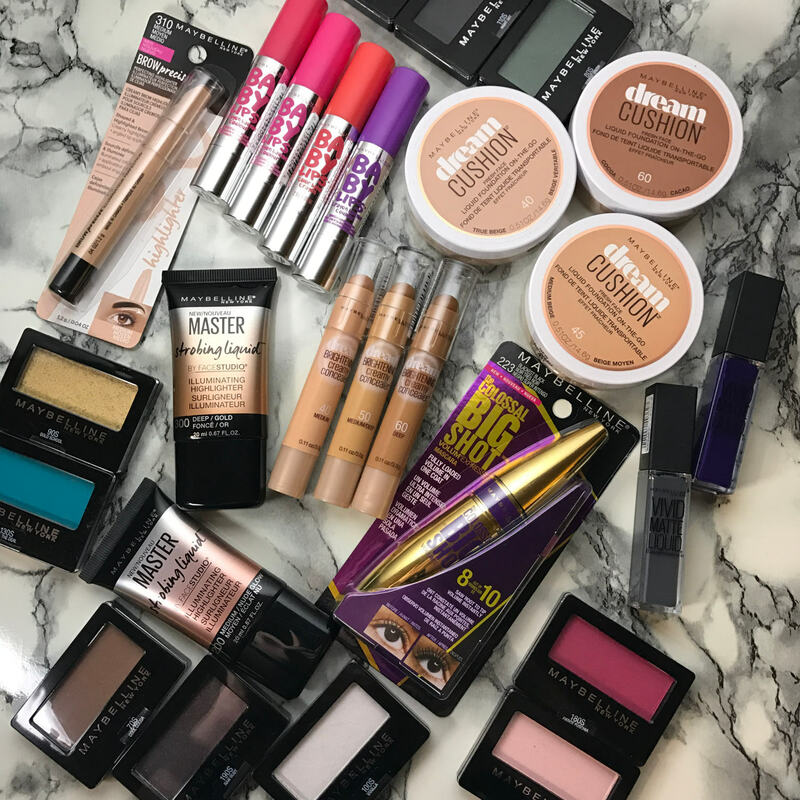 To kick off my first giveaway of the year, I’ve gathered a large bundle of new Maybelline products to give to one lucky reader. To enter, please use the Rafflecopter widget below. Click to expand the official giveaway rules and eligibility. Thanks for entering, and good luck! Stay tuned for more beauty giveaways in the months ahead. Thanks Maybelline for sending an abundant amount of product samples in PR. Generous brand partners are what make these fun giveaways possible! I think I need those baby lipsticks! I keep seeing them around. I want to steal half of these haha! I love how you grabbed brands people actually buy, not the super expensive stuff! Will def. have to try some of these! Oh I need to try some of these! These look amazing! Definitely want to try!